William Barr, President Trump’s pick to succeed Jeff Sessions as attorney general, sent a memo to Trump’s White House lawyers arguing that the president’s firing of FBI Director James Comey did not amount to an obstruction of justice. In the memo sent in June, Barr told Trump’s legal team that Mueller’s investigation was “fatally misconceived” in believing that the president obstructed justice when he fired James Comey. The Associated Press reported that Democrats on the Senate Judiciary Committee were already planning to question Barr on the contents of the memo, which Barr sent to White House lawyer Emmet Flood, Solicitor General Noel Francisco, and White House counsel Pat Cipollone. Given that Barr discussed the memo with Trump’s attorneys, Jay Sekulow and Jane and Martin Raskin, it is seemingly inconceivable that Trump himself didn’t see the memo, or at least know of its contents before he selected Barr as his attorney general pick. The chain of events prompts questions over Barr’s nomination and how he might handle the Mueller investigation once confirmed. The unsolicited nature of the June memo also raises the question over whether Barr deliberately sent it to curry favor with the president and secure a senior position in his administration. For Barr, it is clear that the act of firing an FBI Director does not constitute a wrongful action that impairs the availability of evidence, even when it was carried out with the explicit intent to disrupt an ongoing investigation. 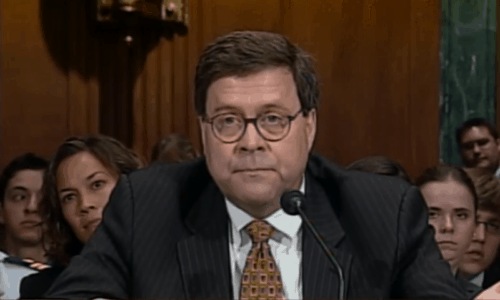 In his letter, Barr outlined actions that might constitute an obstruction of justice, including destroying evidence or tampering with witnesses. However, he reiterated that no accusations of the president engaging in this type of activity had been made.